Whole wheat coconut oil play dough is everything you ever wanted in a play dough. Its a play dough the parents are going to want to get in on. 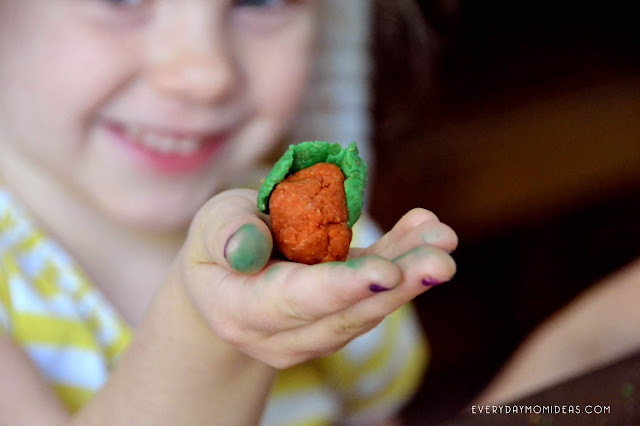 Using whole wheat adds a fun texture to the play dough that makes it a little more gains and dare I say exfoliating. Then the coconut oil and essential oils make you hands oh so soft. No stinky play dough smell to wash off. In fact you won't want to wash your hands all day because it will feel like you just went to the spa and got a hand facial. 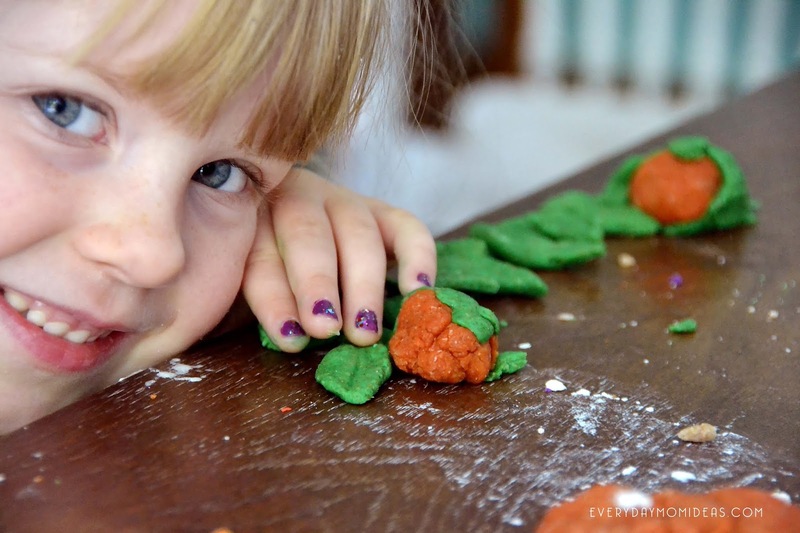 My kids and I made about six different play dough recipes, and finally I just made my own with coconut oil to see how it would turn out and it was by far our favorite play dough out of all of them. You can add lavender and eucalyptus Botanic Universe wholesale essential oils for a little aroma therapy. This play dough is such a great sensory play asset with the grainy texture, squees-ability and amazing calming smells. My girls played with them for an entire hour which is a long time for toddlers. I even joined in on the play dough fun because it was nice for me to. Its always a big win for your day to get in some self care time, creative time, and playtime with your kiddos all in one. The only thing that would make this even better would be a yummy healthy snack to munch on like these Freedom Jars you can hook yourself up with here. 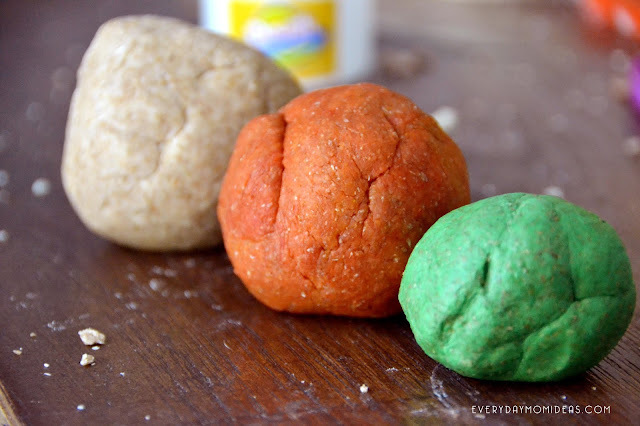 Without adding any color the whole wheat coconut play dough looks a bit like sand which is a lot of fun. 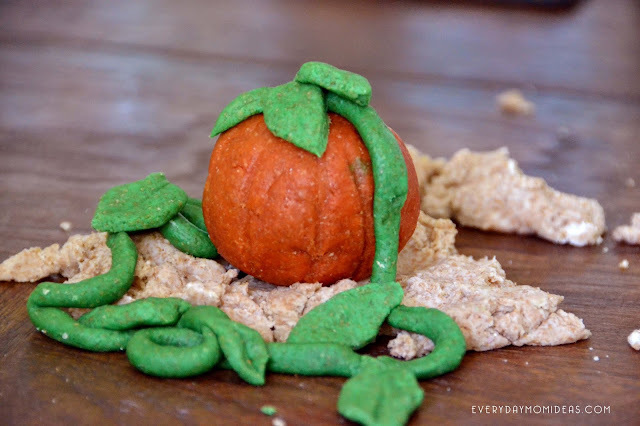 We added two more colors of orange and green to make Jack-o-Latern play dough kits since it is October. For easy clean up rinse lightly with warm water and pat dry with a soft bath towel. No need to use soap otherwise it will strip your hands of all the lovely oils you just messaged into them. My little pumpkin made mini pumpkins. Mix together all ingredients. 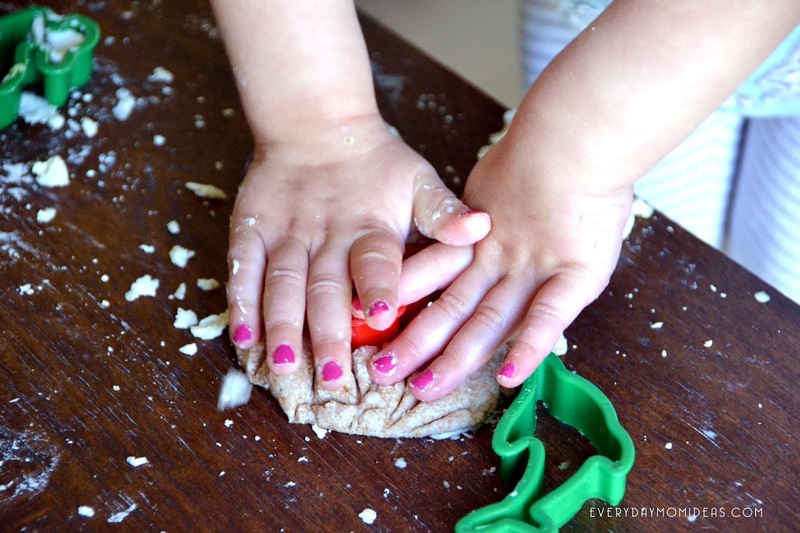 Knead play dough with hands until the dough ball is well mixed. Coconut oil has a low melting point so the dough will always be still at first but once you start playing with it and kneading it in your hands it will soften up perfectly. TIP: If your dough is still too try just add a little more coconut oil and baby shampoo. The baby shampoo helps the dough be more flexible and bouncy with the glycerin in it. You can use any shampoo and most body washes but I like the baby shampoo because it more genteel on skin. If your dough is too gooey just add a little more whole wheat flour. TIP: You do not have to use whole wheat for this recipe. You can use bleached flour. We just like the texture of the whole wheat and how it aids in smoothing out our hands. Tip: I make sure to put newspaper or cardboard down to protect my lovely Sunpan dinning table or any of the surfaces to any of my nice furniture. The dough can add a little greasy spot to wood or fabric furniture. Remember Sharing is Caring. 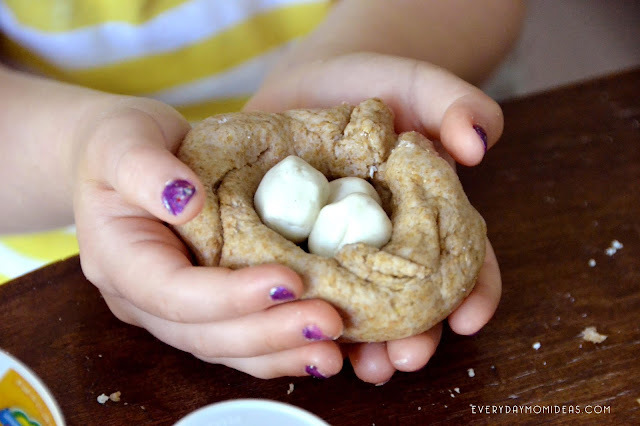 Please share this Softening Coconut Wheat Playdough recipe with your friends and family with this Pinterest friendly image below. 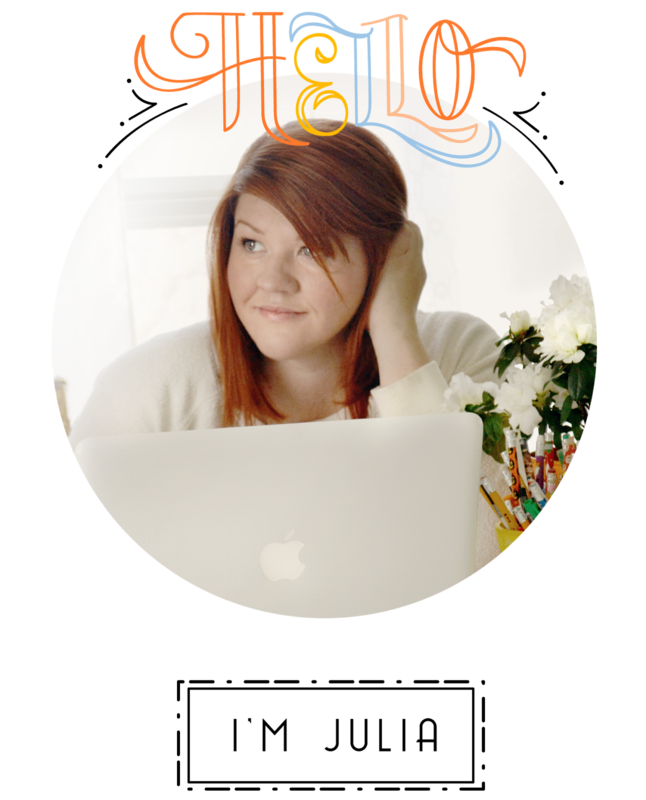 Also I love to read your comments they are the fuel to my blogging. So Please leave a comment with how you liked this craft.